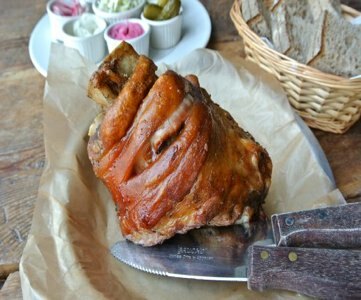 Boil hind pork shank in a pot of water with caraway seeds, garlic, salt and pepper, covered for one hour. Use just enough water to submerge the shank in the pot you are using, and season water sufficiently so you don’t need to season the meat again after cooking. Keep this water for stock.